Amazon offers numerous ways to increase exposure for your products with Alexa built-in to the millions of customers who shop on Amazon.com every day. As an AVS developer, you get access to unique marketing benefits that make it easier to integrate the Alexa brand into your marketing strategy such as inclusion in the Alexa Built-in Storefront and marketing assets. Plus, you can take advantage of the range of services and merchandising tools available to vendors and sellers on Amazon.com. Explore our marketing guidelines and benefits below to learn more. Not yet selling on Amazon.com? Create a Seller Account to begin selling your product to Amazon customers. All developers creating products with Alexa built-in must adhere to our terms and conditions. Familiarize yourself with the Amazon Developer Services Agreement and the AVS Program Requirements in preparation for launching your new product. Our Brand Guidelines provide you with an overview of how to integrate the Alexa brand and messaging into your promotional materials, packaging, and out-of-box experience. Assets that use the Alexa or Amazon brand must be submitted for approval. Use the Alexa Built-in Badge in your online and offline marketing activities to associate your product with the extended family of Alexa devices. 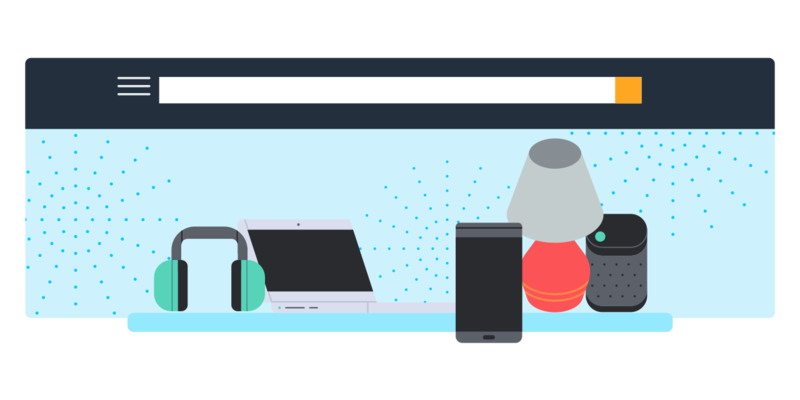 The familiar logo helps you reach more customers who are looking for Alexa products, gadgets, and services. We regularly add products that launch with the Alexa Voice Service to our Alexa Built-in Storefront on Amazon.com. The Storefront is our merchandising hub where we feature Alexa Built-in badged products with exciting customer experiences. Throughout the year, we drive traffic to the Storefront, increasing visibility for your product and surfacing it to customers shopping for Alexa experiences. Your product detail page on Amazon.com is your digital retail associate. It’s dedicated space that you can use to educate your customer about the benefits of your product and of Alexa. You can enhance your detail page with A+ content to add additional product information, branded content, and images that highlight your product’s benefits. A+ detail content is a simple way to provide an exceptional customer experience, and it has been shown to increase sales by an average of 11%. Amazon Vine allows you to submit your products with Alexa built-in for review by trusted Amazon customer reviewers prior to launch. Create confidence for your new product with high-quality reviews ready at launch. Reviews are an important source of information for customers shopping on Amazon.com, with 76% of customers saying that they find Vine reviews helpful, higher than for non-Vine reviews. Additionally, reviews positively impact SEO rankings on Amazon.com. Customers love Amazon.com for its product selection and amazing prices. It’s what brings people back for all their shopping needs. Submit your product with Alexa built-in for participation in a variety of promotional opportunities that increase visibility and potential sales, including Best Deals, and Lightning Deals. We recommend aligning price promotions to major Amazon.com events, such as Prime Day, Alexa’s Birthday, and Black Friday/Cyber Monday, and to key pulses in your product’s lifecycle. Amazon Marketing Services (AMS) enables you to reach new customers through targeted, performance-based marketing solutions on Amazon.com, increasing visibility for your product. You can launch advertising campaigns that target ads to customers based on search keywords, complimentary or competitive detail pages, or shopper interest categories. Build ads quickly and easily–no design or technical expertise needed. Best of all, you only pay for what drives shopper clicks. Whether you’re preparing to launch a new product with Alexa built-in on Amazon.com or looking to increase sales momentum throughout the year, Amazon offers a number of marketing capabilities that help you reach your target customer base. Make sure you read through our marketing guidelines, and then click the link below to get started with the promotional tools and services.